There is many different types of visual puzzles on this website which will test your observational skills. 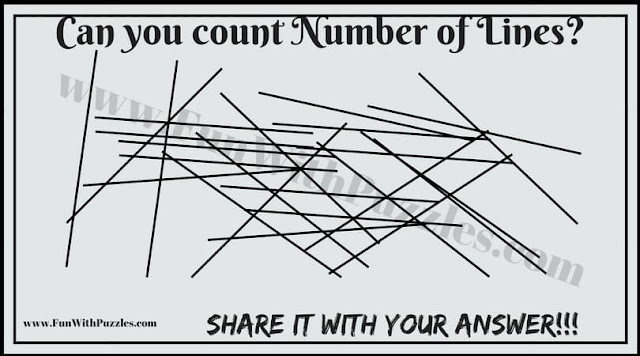 However there are not many picture puzzles on this website in which one has to count the number of lines, number of triangles or number of rectangles/squares in the given picture images. 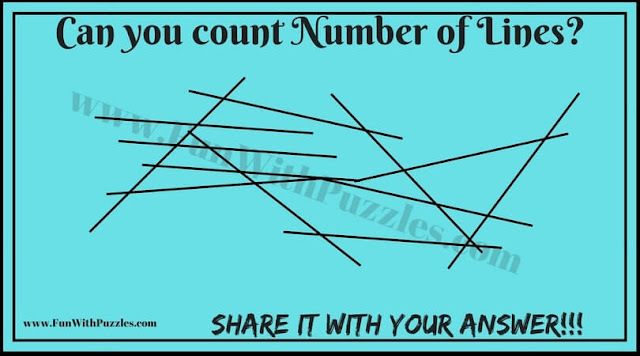 So we are starting these types of puzzles with these simple picture puzzles in which one has to count the number of lines in the given puzzle picture images. 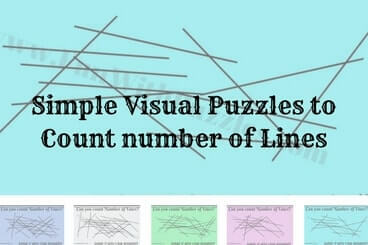 In these visual puzzles many lines are drawn in each of the picture puzzle image. 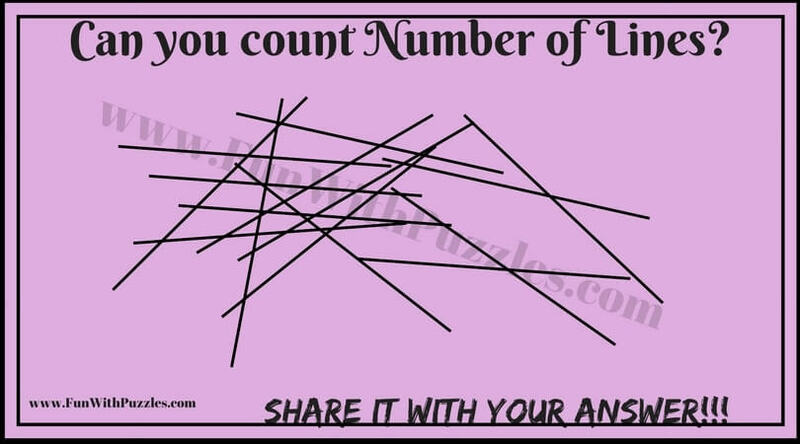 Your challenge is to count the number of lines in each of the picture puzzle as quickly as possible. These Visual Puzzles are arrange in the order of difficulty level with first one being the easy one and last one being the tough visual puzzle. 1. Can you count Number of lines in this Picture Puzzle? 2. 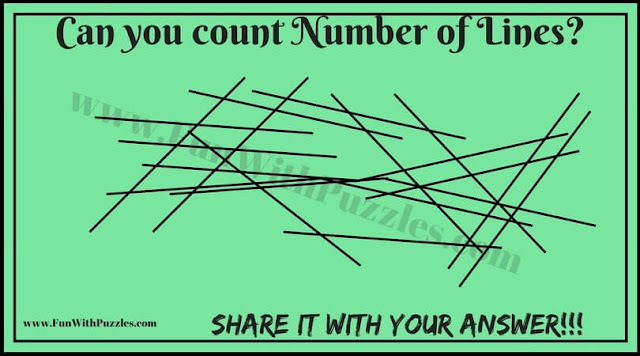 Find the number of lines in this Picture Puzzle. 3. Can you find the number of lines in this Picture Puzzle? 4. 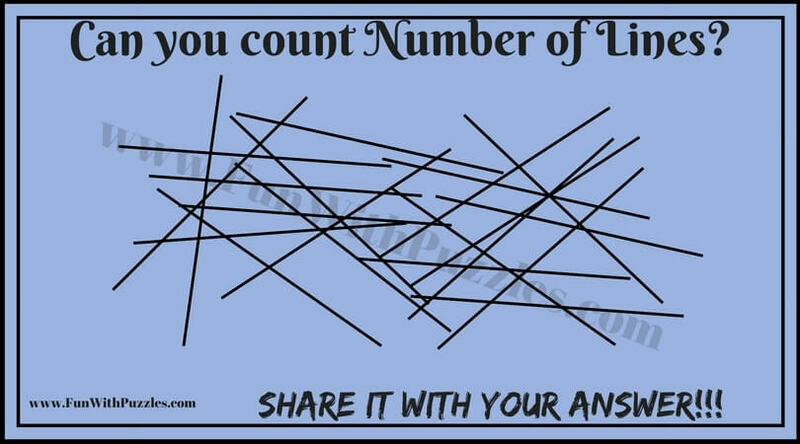 How many lines do you see in this Picture Puzzle? 5. 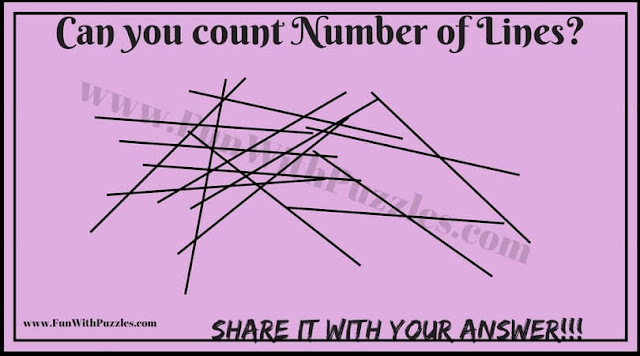 How many lines can you see count in this picture puzzle? 1. Hidden Letters And Numbers Puzzles with Answers: In these visual picture puzzles, there are letters or numbers are hidden in each of the picture puzzle image. Your challenge is to find out these hidden Letters or Number in each of these Picture Riddles. 2. Picture Riddles to Find The Mistakes: Each of these Picture Riddles are having one mistake. Your challenge is find out these mistakes in each of picture puzzle image. 3. The Brain Wiring Test: This test contains the mix of Mathematical, Logical, English Word Puzzles and Visual Puzzles to test your brain power. 4. Test your Observational Skills: It contains the visual picture puzzles in which animals are hidden in each of the photo picture image. Your challenge is find out these hidden animals in each of the photo.